Michigan homeowners like you will need the aid of reputable contractors when considering the repair or replacement of your roofs. While there’s a plethora of companies out there that specialize in roofing in Michigan, it can be arduous and confusing to sort them out. To avoid getting duped and putting your household in danger, it’s advisable for you to seek licensed contractors who can provide you with all the paperwork to confirm their credibility. In many states or localities, if a contractor is not trade-licensed, he or she may not be able to be insured or bonded. Also, be aware that a building inspector can halt work on a project if it’s being done by improperly licensed contractors. Making sure you hire an appropriately licensed, insured and bonded contractor may seem like an extra work, but it all adds up to helping ensure that you and your interests are protected, and gives you more assurance that you’re working with reliable, reputable professionals. Aside from trusting your guts on whether a certain contractor is worth considering or not, checking for the bond coverage, product warranties, workmanship guarantees, and insurances are also extremely crucial. Roofers who can provide you with appropriate bonding and show you proof of payment for workers’ compensation and liability insurance are deemed legitimate professionals. 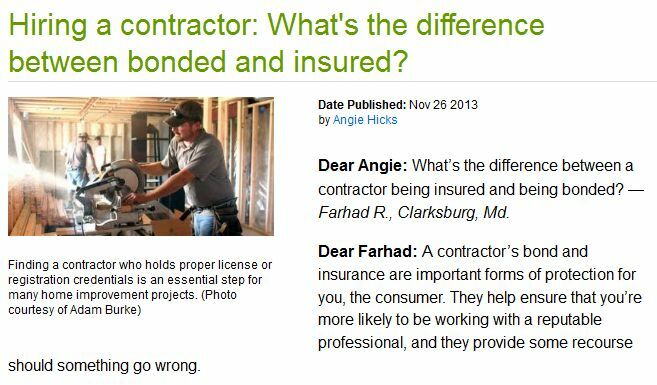 Hiring contractors with such insurance minimizes the risks of getting ripped off. Bonded and insured contractors are responsible enough to pay you for any damage done to your property during the course of the project. Bonding will also protect you from fraud or any unethical behavior from the contractors/sub-contractors. It’s also important to understand the applicable lien laws, and to ensure that you’re not working with a financially unstable roofing company. Consult your local building department and licensing board to determine whether a license is required for a job that you want to be done in your home by a contractor. This will also help you find out whether there have been complaints or legal charges against your prospective contractor. Don’t put off the need for an extensive and systematic research when looking for licensed roofing companies in Michigan. It pays to be patient, diligent, and meticulous. All your time and efforts spent doing the research will definitely pay off when you can finally work with proven reliable roofing contractors.